The faster, better, easier and cooler version of OS X is here! 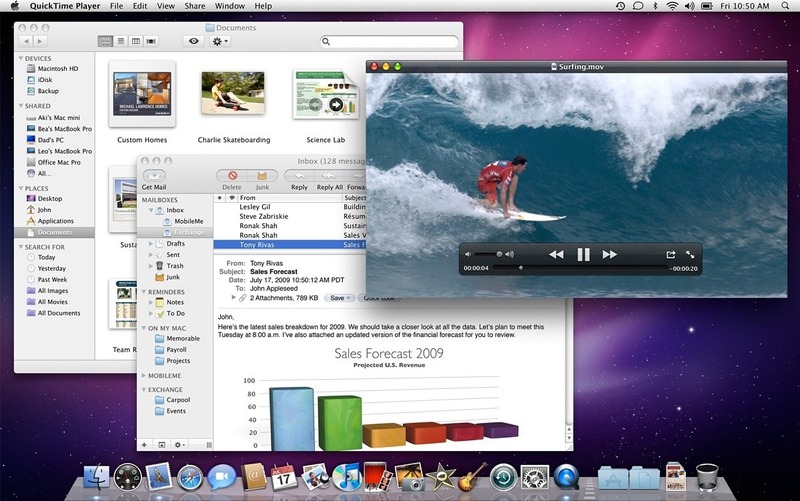 Apple’s Mac OS X 10.6 Snow Leopard will be available in stores starting from today. OS X Snow Leopard is an evolutionary update which mainly delivers performance boost for Macs equipped with 64-bit Intel processors. Lots of changes which have gone under the hood wont be visible to the average Joe upfront. But if you are a Mac user, sooner or later you will want to upgrade to the latest version to take advantage of all the performance boost which it brings with it. Complete Support for 64-bit (finally). More advanced and nimble Finder. New look and features for Exposé and Stacks. Faster wake up and shutdown times. Smaller footprint (you will save about 7 gigs of space compared to Leopard). Support for Microsoft Exchange right out of the box. OS X Snow Leopard is available for current users of OS X v10.5 for $29 (single user) or $49 for family pack. The version shipping in those Retail boxes today is Gold Master 10A432. Fine Print: We don’t in anyway encourage downloading Apple software via file-sharing / torrent sites. If you are still confused about whether or not to upgrade to Snow Leopard then you can go ahead and test drive Mac OS X Snow Leopard Retail version (Gold Master 10A432) before making your final purchase. 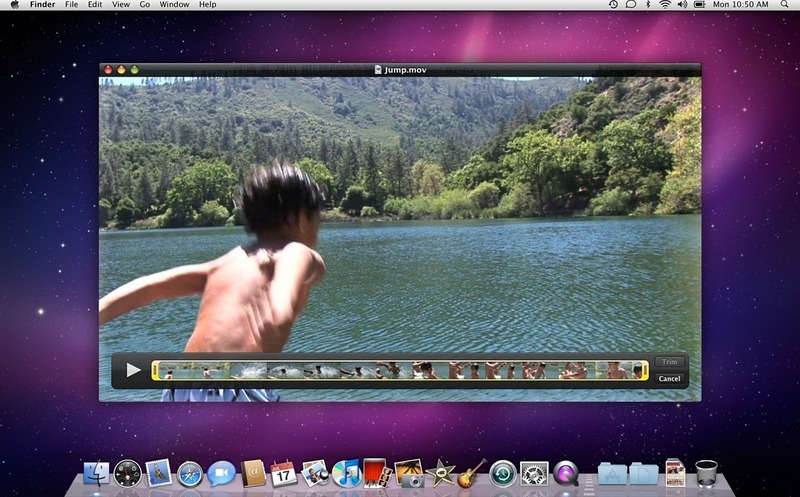 OSX is a terrible operating system, the idea is good but I think that the way Apple handles it is bad. actually… OSX is an amazing OS especially since it is based on UNIX, and virtually never crashes. Also it is amazingly robust and well thought out compared to windows. What a stupid comment. How can you say that OSX is a terrible system. That is ignorant! It's called freedom of speech, you cant convince him to see anything or say anything your way. Instead of just of lashing at his comment, explain why you think the product is better, maybe he may listen. Most likely he just said that to ruffle OSX users' feathers, and you just showed him that he succeeded. My 2 cents on SL – I think it is a good upgrade overall, probably not enough to gain the average Joe's attention, but shows that Apple continues to move forward. The speed improvements may drive the point home if they show a 'real use' impact. Terrible operating system????? You from Mars, right? i,m a windows user……and actually i never use mac osx other than to go into some stores and brows arround on some mac that are in use there……but from my little experience with the osx i definetely i would give it a try……..my question is is this osx exclusive for apple or it can be run on pc aswell?? Between OS-X and Windows 7 OS-X beats Windows 7 hands down. Its cleaner, almost virus free. If Apple would release it to Intel and AMD systems Windows would go the way of the dodo. Windows 7 is a ! @#$#@$@$ lot better than Vista and that is not saying much. I dual boot Windows 7 and Ubuntu 9.10 by the way, but if I could install OS-X on my Desktop and laptop legally I would. Terrible? Really? As in it requires you to go through the painful licensing hoopla? It panics with a blue screen every so often? You're vulnerable to countless Malware attacks? Over time it mutates into a slow, crawling, turtle? Isn't innovative enough so it copies its competition? Runs on a registry system so it goes haywire the moment an application isn't removed properly (most likely due to an unexpected system crash or a shared dll violation)?? mac is awesome. they are way faster then pcs. i would never go back to those!! well actually, the first computer that actually was MINE was a macbook. and i turned 9 at the time… i bought it from my dad with my birthday money, and he had it 3-4 years before me. Then i had it for a year, then got the macbook pro.. it's great! and yet, the macbook is still in tip-top shape and is running great. I'm 12.